Turn heads! Chapter 7 focuses on creating breathtaking interiors with that added wow-factor! Jane and Lucy pulled together 4 tried-and-tested ways to create simply fabulous features in the home that will elevate your interior from great to extraordinary! 1. Create Impact With Colour. Boldly coloured furniture or colourful soft furnishings such as cushions and curtains will really pop against your interiors. 2. Giant Artwork. 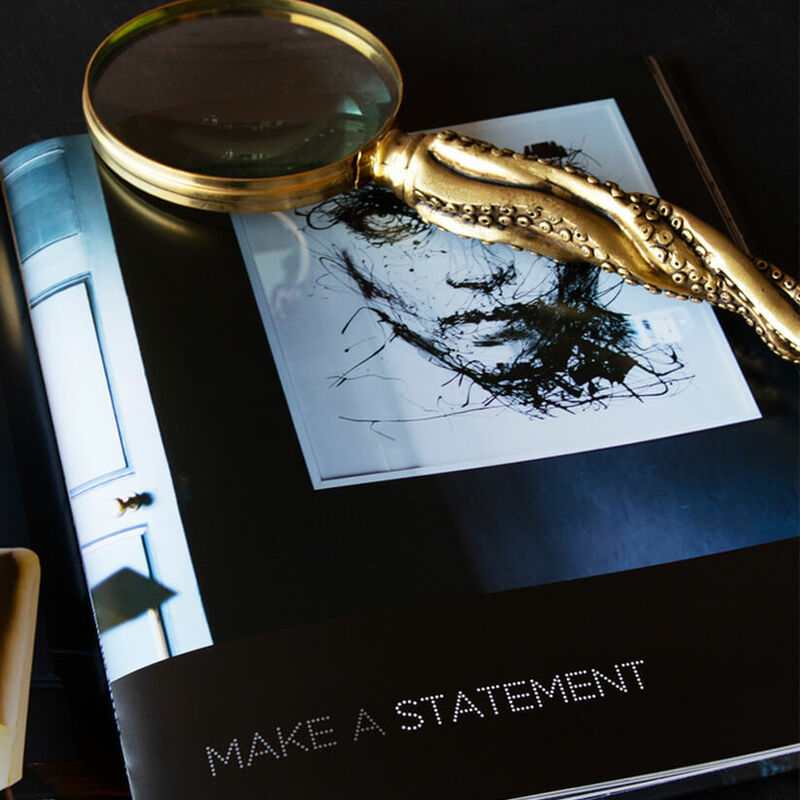 Giant anything creates impact and the oversized artwork is always a talking point, conveying huge amounts of personality, not to mention the fact that it always looks spectacular! 3. Statement Walls. Wallpaper the walls (and ceilings while you are at it). 4. Statement Pieces. 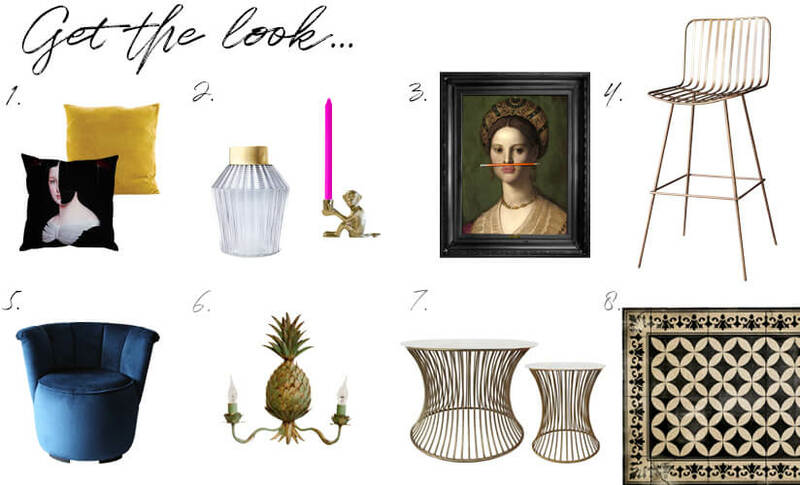 Opt for incredible items that surprises, delights and stops you in your tracks. Examples include, a bright red telephone box in the hallway, oversized chandelier in the bathroom or a giant mirrored disco ball in the bedroom. 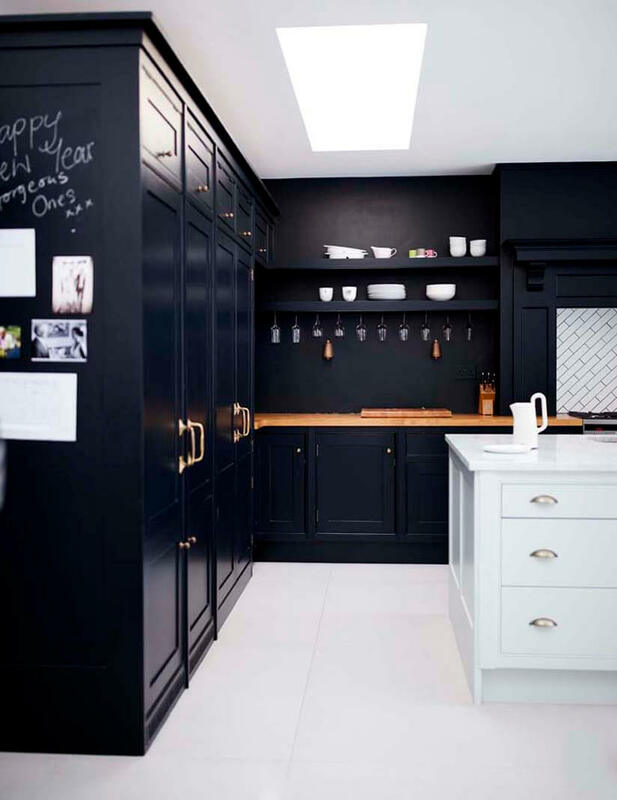 We particularly love the Midas Bar Stools which seamlessly combine with the deep navy walls and cabinets. As featured in Rockett St George: Extraordinary Interiors (Ryland Peters & Small, £19.99) Photography by Debi Treloar. Niki's kitchen is a great example of a well-thought-out design. Not only is it stylish and beautiful, it's also a practical and family-friendly space. 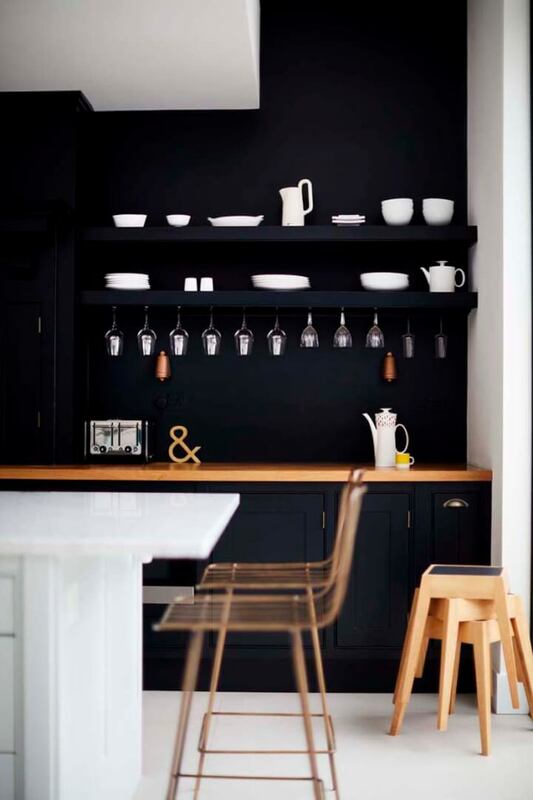 As featured in Rockett St George: Extraordinary Interiors (Ryland Peters & Small, £19.99) Photography by Debi Treloar. 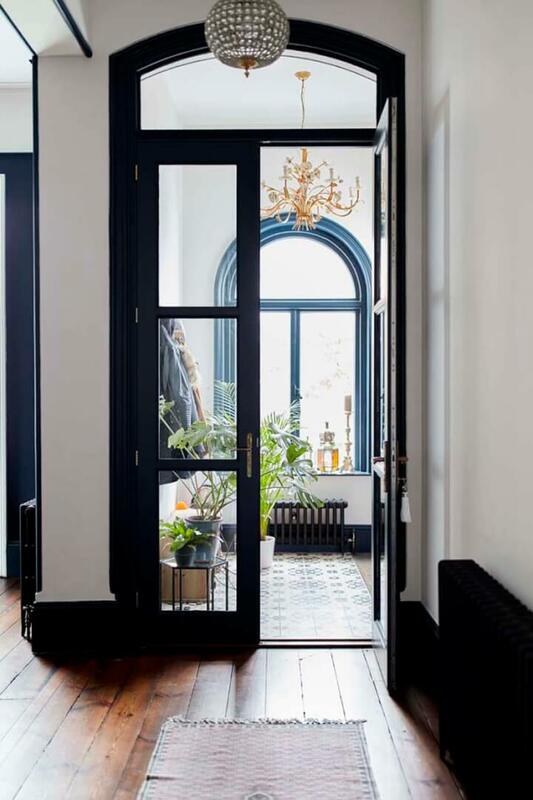 The dark paintwork on the glass double doors and the skirting boards/baseboards gives the architectural features definition and draws attention to the height of the ceiling. As featured in Rockett St George: Extraordinary Interiors (Ryland Peters & Small, £19.99) Photography by Debi Treloar. 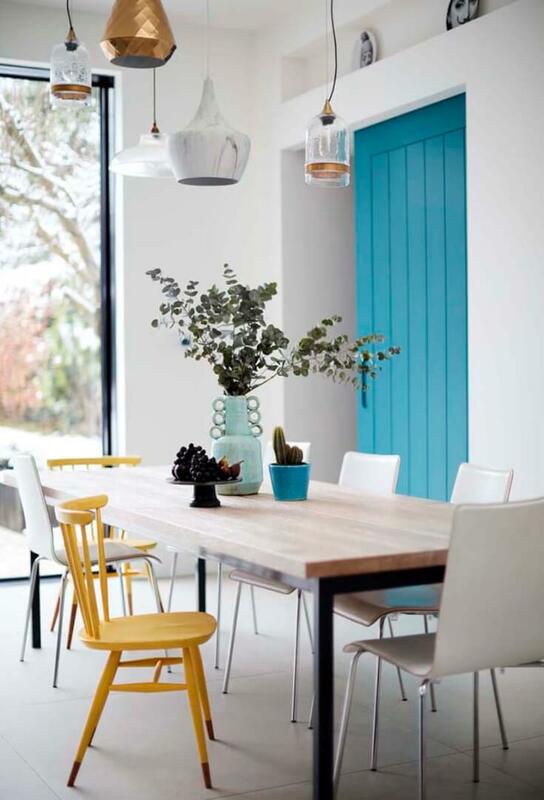 The use of colour in Niki's kitchen is inspired, with the bright blue door and the odd yellow chair dotted around the table. As featured in Rockett St George: Extraordinary Interiors (Ryland Peters & Small, £19.99) Photography by Debi Treloar. In the sitting room, interior designers The Vawdrey House kept the decor simple to accentuate the beauty of the large Victorian Bay Windows. As featured in Rockett St George: Extraordinary Interiors (Ryland Peters & Small, £19.99) Photography by Debi Treloar. 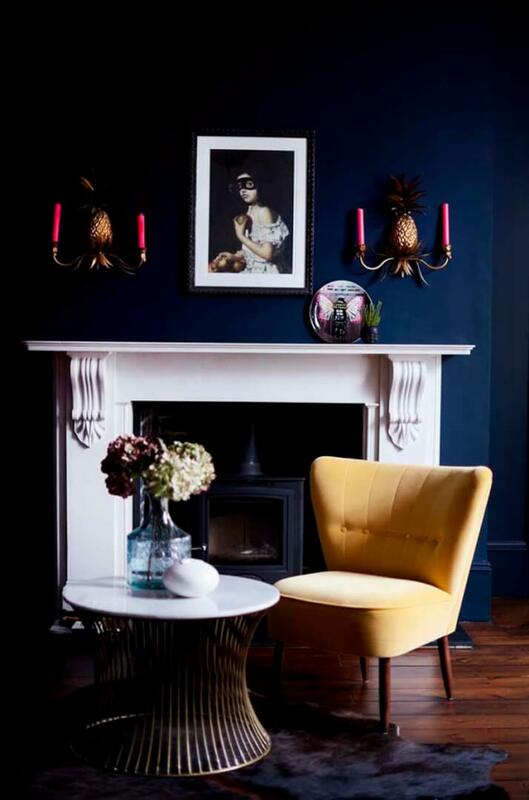 We love the minimalist look of this room, as it allows feature pieces such as the cocktail chair and the pineapple wall sconces to really stand out. 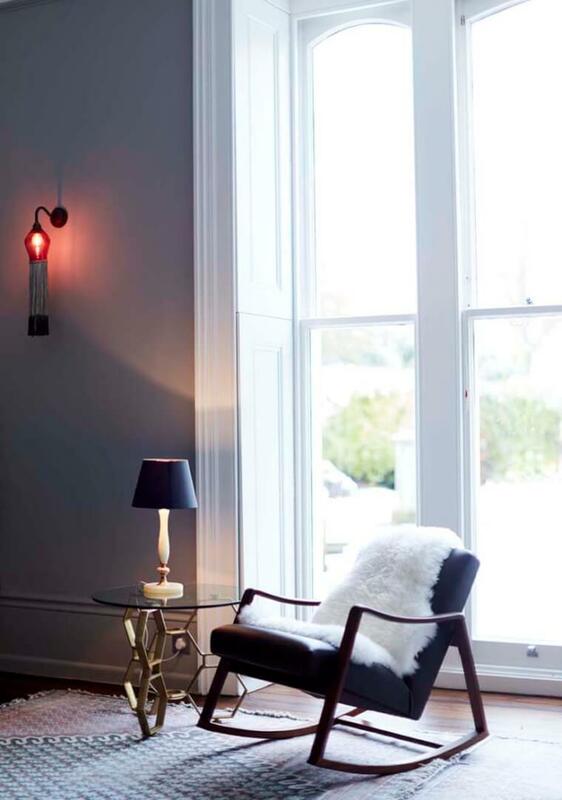 As featured in Rockett St George: Extraordinary Interiors (Ryland Peters & Small, £19.99) Photography by Debi Treloar.